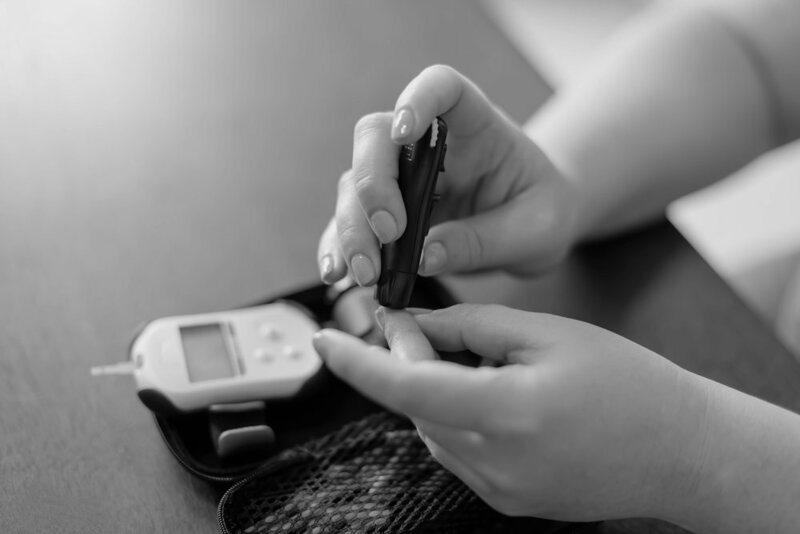 What is Prediabetes and Why is it Important to Self-Diagnose? Only 6% of doctors correctly identified all of the causes of prediabetes. The most-missed causes of prediabetes were ethnicity and race. Prediabetes is a condition that 1 out of 3 American adults have. It is common among almost all groups. You, yourself, may have prediabetes. Prediabetes is a stage between normal, healthy blood sugar control, and diabetes. Blood sugar, or blood glucose, levels are higher in prediabetes than in healthy people, but lower than in diabetes. The same is true for insulin resistance. These are also related to how your body uses carbohydrates. 1. You eat a meal. 2. Your blood sugar levels rise. 3. Your pancreas release insulin into your bloodstream. 4. Cells in your body use insulin to take up glucose. 5. Insulin and blood glucose levels return down to baseline levels. Your doctor may order a prediabetes screening test for you, and the American Diabetes Association recommends regular screening if you are 45 years of age or older. You might want to ask your healthcare provider to order a prediabetes test if you have symptoms or risk factors. You may notice some symptoms with diabetes. They can include the following. The risk factors for prediabetes include both lifestyle factors, which you can change, and genetic factors, which you cannot change. Knowing which risk factors you have can give you an idea of whether you are likely to have prediabetes or be at risk for insulin resistance. It is best to be on the safe side and get tested for prediabetes even if you do not have symptoms or do not think you have many risk factors. There is data to back this up: a full one-third of American adults have prediabetes, and a shocking 90% of them do not know that they have it! That means these people are not getting the care they need for it, and are more likely to have health consequences or see it progress to diabetes. If you do not keep your blood sugar within goal ranges, diabetes can lead to complications. These can include loss of vision, neuropathy in your hands and feet, and poor wound healing. Diabetes also raises your risk for heart disease, kidney disease, hypertension, and stroke. Most people with prediabetes eventually get diabetes. About 5 to 10% of people with prediabetes get diabetes each year, but you can prevent or delay type 2 diabetes with lifestyle changes. A famous clinical trial tested the effects of the Centers for Disease Control and Prevention (CDC)-approved Diabetes Prevention Program (DPP) in people with prediabetes. · Losing weight if you are overweight. Losing just a few pounds can help improve insulin sensitivity and lower blood sugar. Even preventing weight gain can keep your risk of diabetes lower.